Flat or semi-flat materials like metal, glass, plastic, foam, marble, stone and wood are cut using either pure water or, in the case of abrasive water jet cutting, water mixed with abrasive particles like garnet or diamond for added strength; abrasive media are usually added for use on tougher materials. 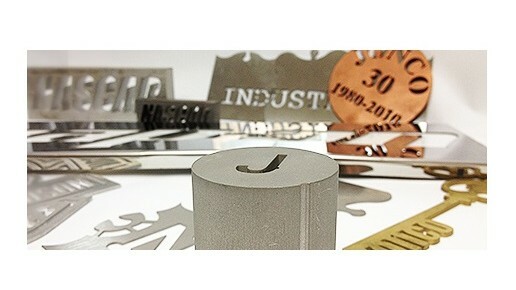 Hydro Cutting – Jonco Industries, Inc.
Products cut using hydro cutting have clean, smooth cuts without any burrs. Since no heat treatment is used during the cutting process, the material properties like temperature resistance and color are not altered. Depending on the strength of the material being cut and the desired rate of production, hydro cutter jets spray water at pressures between 30,000 and 90,000 PSI. The automotive, aerospace, manufacturing, food processing, lumber, architectural, construction and electronic industries all use products that go through the hydro cutting process during fabrication. 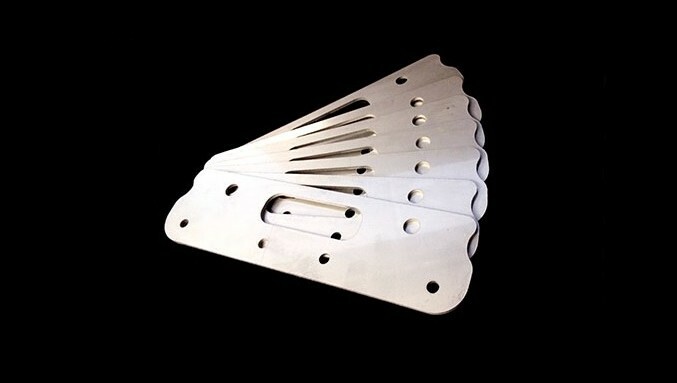 Machinery components like gears, tiles, mirrors, car, train and plane components and stone flooring can all be shaped by the water jet cutting process. Most modern water jet cutting machines are fully automated and use CNC (computer numerical controlled) software to determine and control the route of the water stream. Therefore, labor costs are low since the only manual work involved in water jet cutting relates to setup, repairs and computer operation. A drawing of the desired shape or design is downloaded into CAD/CAM software, and the water nozzles follow its path. Close precision reduces waste and the need for secondary machining processes. Hydro cutting doesn’t create any harmful dust or particles that workers could inhale, and produces high volumes of products with minimal scrap material. Also, unlike many other cutting processes, hydro cutting does not involve the use or generation of heat, which reduces risks to workplace safety. The hydro cutters are mostly made of stainless steel and contain a water reservoir, abrasive containers and a high pressure water pump with a nozzle attached. Both the water and any abrasives used are recycled many times through the machine. They are combined in a mixing tube, shot through a nozzle at high pressure and then re-circulated back into their separate storage areas. Hydro Cutting Hydro cutting is a cold working manufacturing process that uses high pressure water jets to cut a wide variety of materials and shape them into many designs.